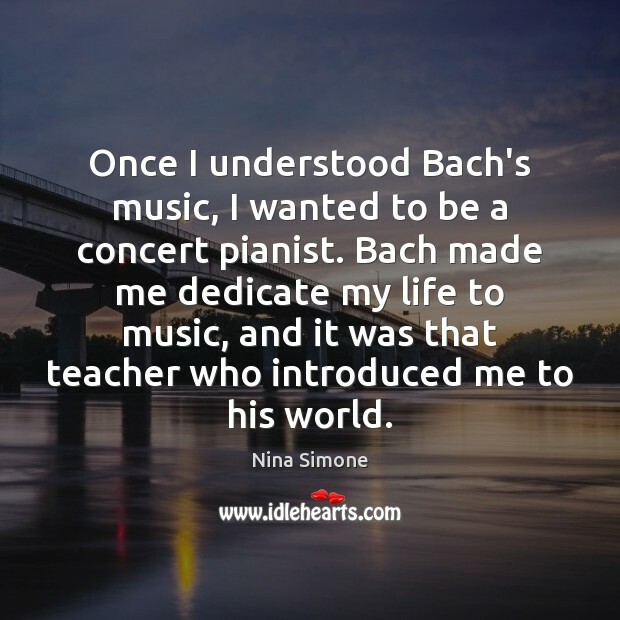 Quotations about Bach's Music. Quotes to stimulate mind and drive action! Use the words and quote images to feed your brain inspiring things daily! 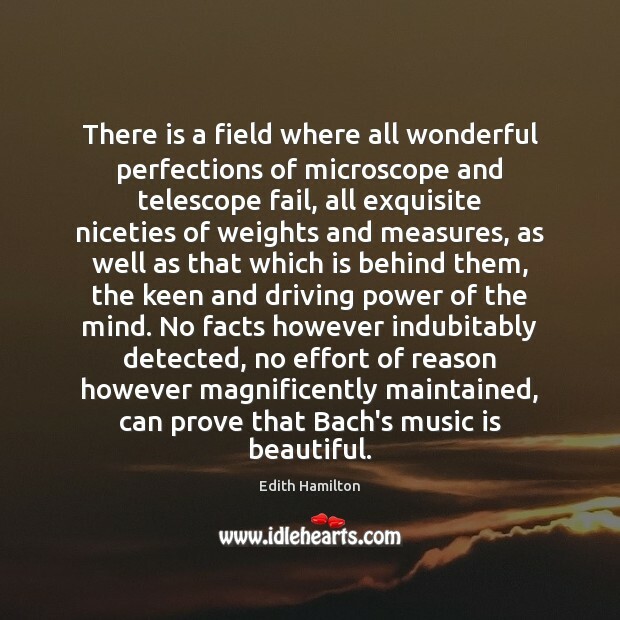 There is a field where all wonderful perfections of microscope and telescope fail, all exquisite niceties of weights and measures, as well as that which is behind them, the keen and driving power of the mind. 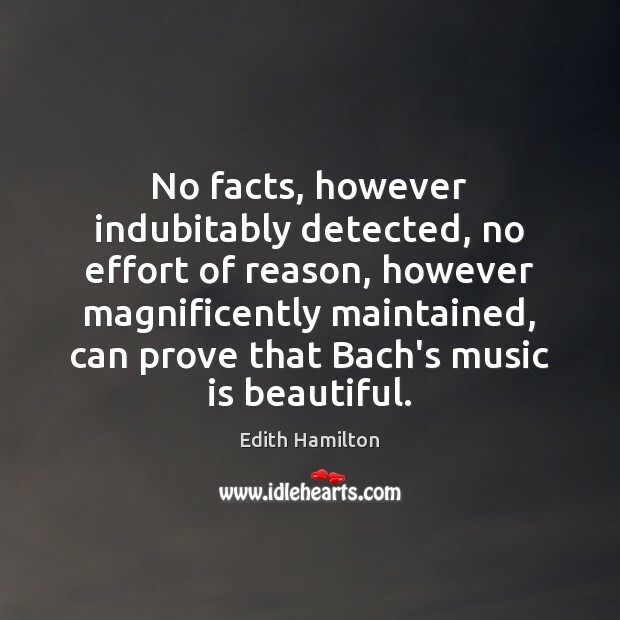 No facts however indubitably detected, no effort of reason however magnificently maintained, can prove that Bach's music is beautiful. I think J.S. Bach's music stands among humankind's greatest accomplishments. 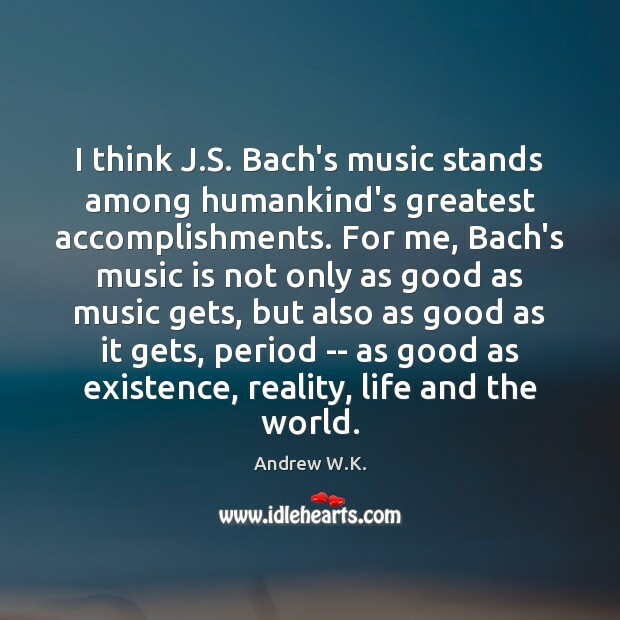 For me, Bach's music is not only as good as music gets, but also as good as it gets, period -- as good as existence, reality, life and the world. No facts, however indubitably detected, no effort of reason, however magnificently maintained, can prove that Bach's music is beautiful. 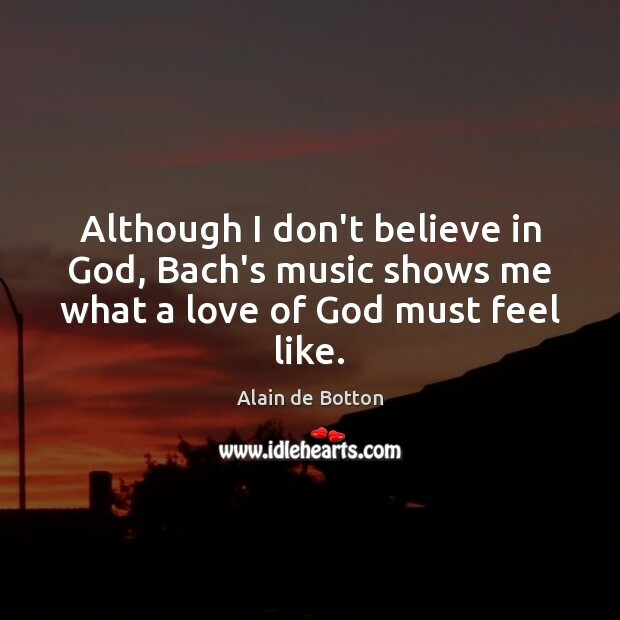 Although I don't believe in God, Bach's music shows me what a love of God must feel like.